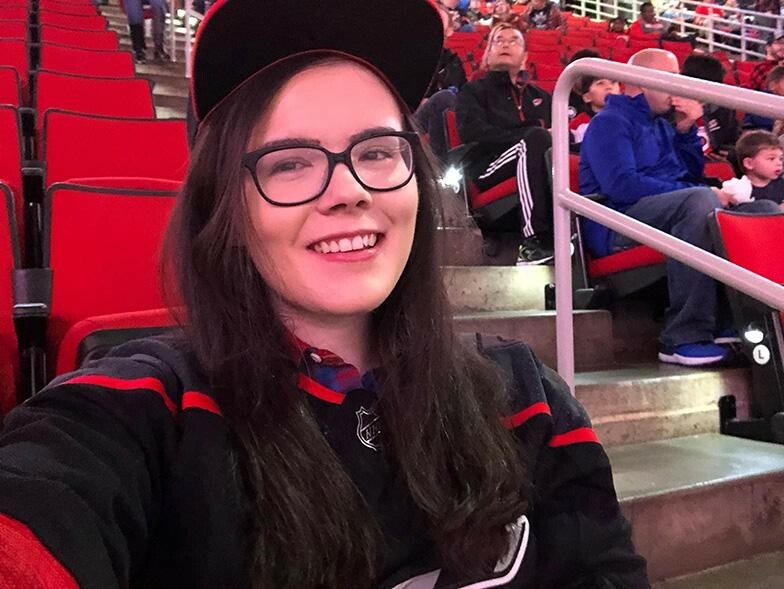 Today we present a guest post by Ragan Wilson, PhD student in Human Factors and Applied Cognitive Psychology at NC State University. Saying that goalies in professional ice hockey see the puck a lot is an understatement. They are the last line of defense for their team against scoring, putting their bodies in the way of the puck to block shots in ways that sometimes do not seem human. In order to do that, they rely on their skills as well as their protective equipment, including chest protectors. As written by In Goal Magazine’s Kevin Woodley and Greg Balloch, at the professional level this and other equipment is being re-examined by the National Hockey League (NHL) and the National Hockey League’s Player’s Association (NHLPA). For the 2018-2019 NHL season, there has been a change in goal-tending equipment rules involving chest protectors according to NHL’s columnist Nicholas J. Cotsonika. This rule, Rule 11.3, states that “The chest and arm protector worn by each goalkeeper must be anatomically proportional and size-specific based on the individual physical characteristics of that goalkeeper”. In practical terms, what this rule means is that goaltender chest protection needs to be size-wise in proportion to the goaltender using it so, for instance, a 185-pound goalie would seem more like a 185-pound goalie versus a 200-210 pound goalie. The reasoning for the rule change was to try to make saves by the goalie more based on ability than on extra padding and to potentially increase scoring in the league. Overall, this is a continuation of a mission for both the NHL and NHLPA to make goalie equipment slimmer, which was kick-started by changes in goalie pants and leg pads. The difference between previously approved chest protectors and the approved models are shown below thanks to the website Goalie Coaches who labeled images from Brian’s Custom Sports Instagram page below. To a non-hockey player, the visual differences between non-NHL approved and the NHL approved pads look minuscule. However, according to In Goal Magazine, implementing these changes have been an interesting challenge for the NHL as well as hockey gear companies such as Brian’s and CCM). Whereas changing the pants rule was more straightforward, the dimensions of chest protectors are more complicated and personal to goalies (NHL). This challenge could be seen earlier in the season with mixed feedback about the new gear change. Some current NHL such as Vegas Golden Knights’ Marc-Andre Fleury (In Goal Magazine) and Winnipeg Jets’ Connor Hellebuyck (Sports Illustrated) noted more pain from blocking pucks in the upper body region. On the other hand, the Toronto Maple Leafs’ Frederik Andersen and Garrett Sparks have not had problems with these changes (Sports Illustrated). What always makes me happy as a student of human factors psychology is when final users are made an active part of the discussion for changes. Thankfully, that is what appears to be happening so far with this rule change since the NHL and NHLPA seemed to be actively interested in and considering feedback from current NHL goaltenders about what could make them more comfortable with the new equipment standards at the beginning of the season (In Goal Magazine). Hopefully, that continues into the next season with all the rigorous, real-life testing that a season’s worth of regular and playoff games can provide. Considering there are already some interesting, individualized adjustments to the new equipment rules such as changing companies (Washington Capitals’ Braden Holtby), or adding another layer of protection such as a padded undershirt (Marc-Andre Fleury) (USA Today), it’ll be interesting what the situation is for this equipment come the next off-season, especially in terms of innovation from the companies that produce this gear at a professional level. Ragan Wilson is a first-year human factors and applied cognitive psychology doctoral student at NC State University. She is mainly interested in the ways that human factors and all areas of sports can be interlinked, from player safety to consumer experiences of live action games. In December 2016, Pius “Gene” Hobbs was raking gravel with the Meade County public works crew when a dump truck backed over him. The driver then accelerated forward, hitting him a second time. Hobbs was crushed to death. The sole eyewitness to the incident said that the dump truck’s backup beeper wasn’t audible at the noisy worksite. The Kentucky State Police trooper on the scene concurred. Hobbs might not have been able to hear the truck coming. But when Kentucky Occupational Safety and Health arrived, hours later, the inspector tested the beeper on a quiet street and said it wasn’t a problem. “These shortcomings are very concerning,” says Jordan Barab, a workplace safety expert who served as Deputy Assistant Secretary of Labor for Occupational Safety and Health under President Barack Obama. “Identifying the causes of these incidents is … vitally important.” Otherwise, the employer doesn’t know how to avoid the next incident, he says. Gene Hobbs’ case is not the exception. In fact, it’s the norm, according to a recent federal audit. Kentucky is what’s known as a “state plan,” meaning the federal Occupational Safety and Health Administration has authorized it to run its own worker safety program. Every year, federal OSHA conducts an audit of all 28 state plans to ensure they are “at least as effective” as the federal agency at identifying and preventing workplace hazards. According to this year’s audit of Kentucky, which covered fiscal year 2017, KY OSH is not meeting that standard. In fact, federal OSHA identified more shortcomings in Kentucky’s program than any other state. We know that we must have regulations and enforcement of those regulations to have safe environments. Left to our own choices, people tend to choose what appears to be the fastest and easiest options, not the most safe ones. For an interesting read on the history of safety regulation, see this article from the Department of Labor. In 1898 the Wisconsin bureau reported that it was often difficult to find safety devices that did not reduce efficiency. Sanitary improvements and fire escapes were expensive, which led many employers to resist their adoption. Constant pressure and attention were needed to obtain compliance. Employers objected to the posting of laws in their establishments and some tore them down. The proprietor of a shoe factory with very poor fire escape routes showed “a disposition to defeat” an inspector’s request for more fire escapes, though he complied in the end. A cloak maker who was also found to have inadequate fire escapes went to the extreme of relocating his operation to avoid compliance. Such delays were not uncommon. When an inspector found abominable conditions in the dipping rooms of a match factory — poorly ventilated rooms filled with poisonous fumes from the liquid phosphorus which made up the match heads — he tried to persuade the operators to make improvements. They objected because of the costs involved and the inspector “left without expecting to see the changes made.” When a machinery manufacturer equipped his ripsaws with guards after an inspection, a reinspection revealed that the employees had removed the guards. Without regulation, we’ll be back to 1898 in short order. The passengers on the Lion Air 610 flight were on board one of Boeing’s newest, most advanced planes. The pilot and co-pilot of the 737 MAX 8 were more than experienced, with around 11,000 flying hours between them. The weather conditions were not an issue and the flight was routine. So what caused that plane to crash into the Java Sea just 13 minutes after takeoff? I’ve been waiting for updated information on the Lion Air crash before posting details. 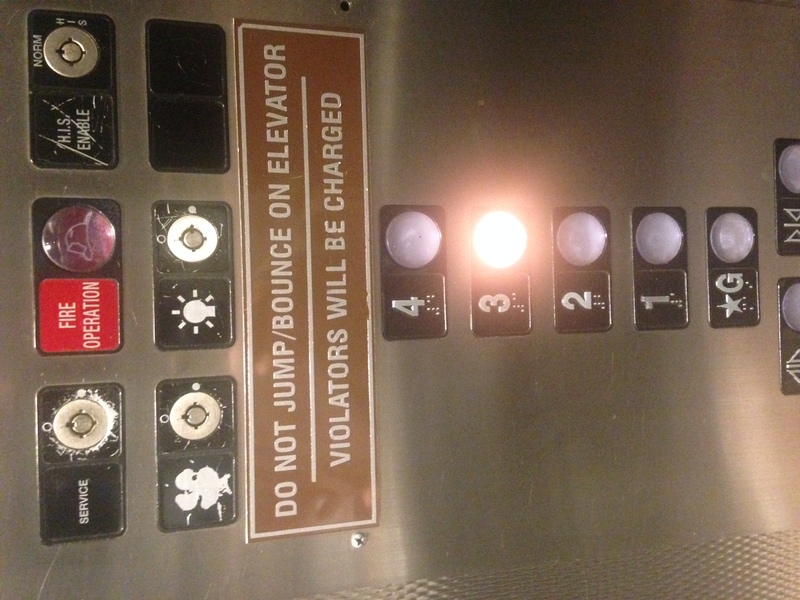 When I first read about the accident it struck me as a collection of human factors safety violations in design. I’ve pulled together some of the news reports on the crash, organized by the types of problems experienced on the airplane. The alerts included a so-called stick shaker — a loud device that makes a thumping noise and vibrates the control column to warn pilots they’re in danger of losing lift on the wings — and instruments that registered different readings for the captain and copilot, according to data presented to a panel of lawmakers in Jakarta Thursday. The plane included new “anti-stall” technology that the airlines say was not explained well nor included in Boeing training materials. In the past week, Boeing has stepped up its response by pushing back on suggestions that the company could have better alerted its customers to the jet’s new anti-stall feature. The three largest U.S. pilot unions and Lion Air’s operations director, Zwingly Silalahi, have expressed concern over what they said was a lack of information. As was previously revealed by investigators, the plane’s angle-of-attack sensor on the captain’s side was providing dramatically different readings than the same device feeding the copilot’s instruments. Angle of attack registers whether the plane’s nose is pointed above or below the oncoming air flow. A reading showing the nose is too high could signal a dangerous stall and the captain’s sensor was indicating more than 20 degrees higher than its counterpart. The stick shaker was activated on the captain’s side of the plane, but not the copilot’s, according to the data. “Generally speaking, when there is a new delivery of aircraft — even though they are the same family — airline operators are required to send their pilots for training,” Bijan Vasigh, professor of economics and finance at Embry-Riddle Aeronautical University, told CNN. Those training sessions generally take only a few days, but they give the pilots time to familiarize themselves with any new features or changes to the system, Vasigh said. One of the MAX 8’s new features is an anti-stalling device, the maneuvering characteristics augmentation system (MCAS). If the MCAS detects that the plane is flying too slowly or steeply, and at risk of stalling, it can automatically lower the airplane’s nose. It’s meant to be a safety mechanism. But the problem, according to Lion Air and a growing chorus of international pilots, was that no one knew about that system. Zwingli Silalahi, Lion Air’s operational director, said that Boeing did not suggest additional training for pilots operating the 737 MAX 8. “We didn’t receive any information from Boeing or from regulator about that additional training for our pilots,” Zwingli told CNN Wednesday. “We don’t have that in the manual of the Boeing 737 MAX 8. That’s why we don’t have the special training for that specific situation,” he said. New York City’s voters were subject to a series of setbacks after the election board unrolled a perforated two-page ballot. Voters who didn’t know they had to tear at the edges to get at the entire ballot ended up skipping the middle pages. Then the fat ballots jammed the scanners, long lines formed, and people’s ballots got soaked in the rain. When voters fed the soggy ballots into scanners, more machines malfunctioned. In Georgia, hundreds blundered on their absentee ballot, incorrectly filling out the birth date section. Counties originally threw out the ballots before a federal judge ordered they be counted. And in Broward County, Fla., 30,000 people who voted for governor skipped the contest for U.S. Senate. The county’s election board had placed that contest under a block of multi-lingual instructions, which ran halfway down the page. Quesenbery says voters scanning the instructions likely skimmed right over the race. She has seen this design before. In 2009, King County, Wash., buried a tax initiative under a text-heavy column of instructions. An estimated 40,000 voters ended up missing the contest, leading the state to pass a bill mandating ballot directions look significantly different from the contests below. The story didn’t even mention the issues with the “butterfly ballot” from Florida in 2000. Whitney Queensbery is right. We do know the answers, and we certainly know the methods for getting the answers. We need the will to apply them in our civics, not just commercial industry. The now-fired employee has spoken up, saying he was sure of his actions and “did what I was trained to do.” When asked what he’d do differently, he said “nothing,” because everything he saw and heard at the time made him think this was not a drill. His firing is clearly an attempt by Hawaii to get rid of a ‘bad apple.’ Problem solved? • Tighten procedures and close regulatory gaps. This reduces the bandwidth in which people operate. It leaves less room for error. snuff out any erratic human behavior. • Make sure that defective practitioners (the bad apples) do not contribute to system breakdown again. Put them on “administrative leave”; demote them to a lower status; educate or pressure them to behave better next time; instill some fear in them and their peers by taking them to court or reprimanding them. In this view of human error, investigations can safely conclude with the label “human error”—by whatever name (for example: ignoring a warning light, violating a procedure). Such a conclusion and its implications supposedly get to the causes of system failure. The shortcomings of the bad apple theory are severe and deep. Progress on safety based on this view is often a short-lived illusion. For example, focusing on individual failures does not take away the underlying problem. Removing “defective” practitioners (throwing out the bad apples) fails to remove the potential for the errors they made. …[T]rying to change your people by setting examples, or changing the make-up of your operational workforce by removing bad apples, has little long-term effect if the basic conditions that people work under are left unamended. A ‘bad apple’ is often just a scapegoat that makes people feel better by giving a focus for blame. Real improvements and safety happen by improving the system, not by getting rid of employees who were forced to work within a problematic system. The morning of January 13th, people in Hawaii received a false alarm that the island was under nuclear attack. One of the messages people received was via cell phones and it said:“BALLISTIC MISSILE THREAT INBOUND TO HAWAII. SEEK IMMEDIATE SHELTER. THIS IS NOT A DRILL.” Today, the Washington Post reported that the alarm was due to an employee pushing the “wrong button” when trying to test the nuclear alarm system. The quote in the title of this post is from another Washington Post article where people experiencing the alarm were interviewed. 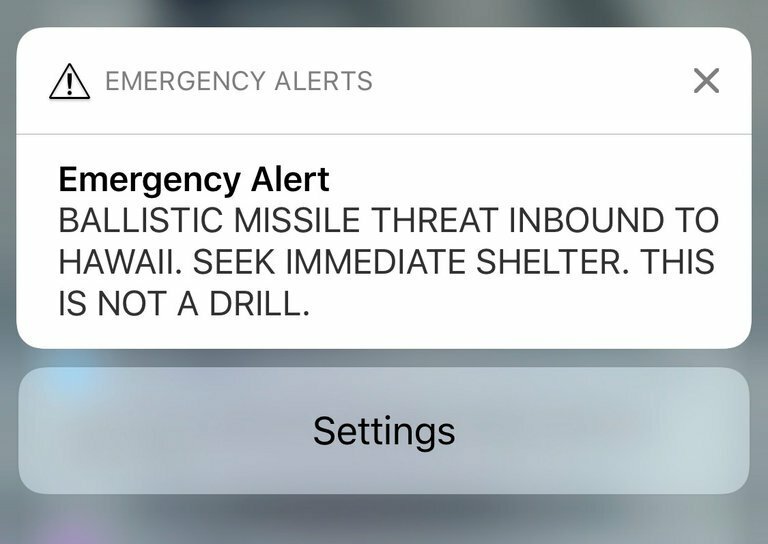 To sum up the issue, the alarm is triggered by choosing an option in a drop down menu, which had options for “Test missile alert” and “Missile alert.” The employee chose the wrong dropdown and, once chosen, the system had no way to reverse the alarm. User control and freedom: Users often choose system functions by mistake and will need a clearly marked “emergency exit” to leave the unwanted state without having to go through an extended dialogue. Support undo and redo. Visibility of system status: The system should always keep users informed about what is going on, through appropriate feedback within reasonable time. Error prevention: Even better than good error messages is a careful design which prevents a problem from occurring in the first place. Either eliminate error-prone conditions or check for them and present users with a confirmation option before they commit to the action. Help users recognize, diagnose, and recover from errors: Error messages should be expressed in plain language (no codes), precisely indicate the problem, and constructively suggest a solution. And those are just the ones I could identify from reading the Washington Post article! Perhaps a human factors analysis will become regulated for these systems as it has been for the FDA and medical devices. Did a User Interface Kill 10 Navy Sailors? I chose a provocative title for this post after reading the report on what caused the wreck of the USS John McCain in August of 2017. A summary of the accident is that the USS John McCain was in high-traffic waters when they believed they lost control of steering the ship. Despite attempts to slow or maneuver, it was hit by another large vessel. The bodies of 10 sailors were eventually recovered and five others suffered injury. 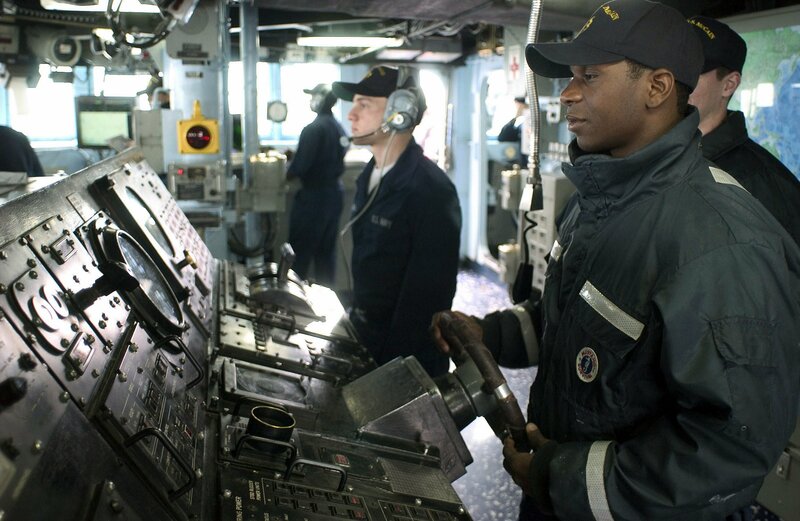 In the Navy, the responsibility of the Commanding Officer for his or her ship is absolute. Many of the decisions made that led to this incident were the result of poor judgment and decision making of the Commanding Officer. That said, no single person bears full responsibility for this incident. The crew was unprepared for the situation in which they found themselves through a lack of preparation, ineffective command and control and deficiencies in training and preparations for navigation. Steering was never physically lost. Rather, it had been shifted to a different control station and watchstanders failed to recognize this configuration. Complicating this, the steering control transfer to the Lee Helm caused the rudder to go amidships (centerline). Since the Helmsman had been steering 1-4 degrees of right rudder to maintain course before the transfer, the amidships rudder deviated the ship’s course to the left. Even this section calls out the “failure to recognize this configuration.” If the system is designed well, one shouldn’t have to expend any cognitive or physical resources to know from where the ship is being controlled. Overall I was surprised at the tone of this report regarding crew performance. Perhaps some is deserved, but without a hard look at the systems the crew use, I don’t have much faith we can avoid future accidents. Fitts and Jones were the start of the human factors field in 1947, when they insisted that the design of the cockpit created accident-prone situations. This went against the beliefs of the times, which was that “pilot error” was the main factor. This ushered in a new era, one where we try to improve the systems people must use as well as their training and decision making. The picture below is of the interface of the USS John S McCain, commissioned in 1994. I would be very interested to see how it appears in action. I posted yesterday about the challenges of fully autonomous cars and cars that approach autonomy. Today I bring you a story about the successes of semi-automatic features in automobiles. The Tesla Autosteer system uses information from the forward-looking camera, the radar sensor, and the ultrasonic sensors, to detect lane markings and the presence of vehicles and objects to provide automated lane-centering steering control based on the lane markings and the vehicle directly in front of the Tesla, if present. The Tesla owner’s manual contains the following warnings: 1) “Autosteer is intended for use only on highways and limited-access roads with a fully attentive driver. When using Autosteer, hold the steering wheel and be mindful of road conditions and surrounding traffic. Do not use Autosteer on city streets, in construction zones, or in areas where bicyclists or pedestrians may be present. Never depend on Autosteer to determine an appropriate driving path. Always be prepared to take immediate action. Failure to follow these instructions could cause serious property damage, injury or death;” and 2) “Many unforeseen circumstances can impair the operation of Autosteer. Always keep this in mind and remember that as a result, Autosteer may not steer Model S appropriately. Always drive attentively and be prepared to take immediate action.” The system does not prevent operation on any road types. An NHTSA report looking into a fatal Tesla crash also noted that the introduction of Autosteer corresponded to a 40% reduction in automobile crashes. That’s a lot considering Dr. Gill Pratt from Toyota said he might be happy with a 1% change. Autopilot was enabled in October, 2015, so there has been a good period of time for post-autopilot crash data to be generated. Definitions of autonomy vary. True autonomy is far away. He gives the example of a car performing well on an interstate or in light traffic compared to driving through the center of Rome during rush hour. Automation will fail. And the less it fails, the less prepared the driver is to assume control. Emotionally we cannot accept autonomous cars that kill people, even if it reduces overall crash rates and saves lives in the long run. It is difficult to run simulations with the autonomous cars that capture the extreme variability of the human drivers in other cars. So to sum this thing up, I think there’s a general desire from the technical people in this field to have both the press and particularly the public better educated about what’s really going on. It’s very easy to get misunderstandings based on words like or phrases like “full autonomy.” What does full actually mean? This actually matters a lot: The idea that only the chauffeur mode of autonomy, where the car drives for you, that that’s the only way to make the car safer and to save lives, that’s just false. And it’s important to not say, “We want to save lives therefore we have to have driverless cars.” In particular, there are tremendous numbers of ways to support a human driver and to give them a kind of blunder prevention device which sits there, inactive most of the time, and every once in a while, will first warn and then, if necessary, intervene and take control. The system doesn’t need to be competent at everything all of the time. It needs to only handle the worst cases. I wouldn’t have come up with the idea myself. But now I’m intrigued. What would happen? Is it fun? Do other people do this all the time?